Area of Research: African-American history, social movements, poverty and social policy, history of welfare, domestic service work. The Real Nanny Diaries: Narratives of Domestic Workers. and No Permanent Waves: Recasting Histories of U.S. Feminism ed. by Nancy Hewitt (Rutgers University Press, 2010). “Sista’ Friends and Other Allies: Domestic Workers United” in New Social Movements in the African Diaspora: Challenging Global Apartheid, ed. Leith Mullings (Palgrave MacMillan 2009); “‘We Do Whatever Becomes Necessary: Johnnie Tillmon, Welfare Rights, and Black Power” in Want to Start a Revolution? : Women in the Black Revolt, ed. Jeanne Theoharis, Dayo Gore, and Komozi Woodard (NYU Press, 2009); “Domestic Workers Organize!” with Eileen Boris in Working USA: The Journal of Labor and Society (December 2008); “‘Welfare’s A Green Problem’: Cross-Race Coalitions in the Welfare Rights Movement” in Feminist Coalitions, ed. Stephanie Gilmore (University of Illinois Press, 2008); “From Widow to ‘Welfare Queen’: Welfare and the Politics of Race” Black Women, Gender, and Families, Vol. 1 (2) (2007). Hofstadter – Haynes Fellowship, Department of History, Columbia University, 1990 – 1991. Formerly Visiting Associate Professor, Endowed Chair in Women’s Studies, Brooklyn College. 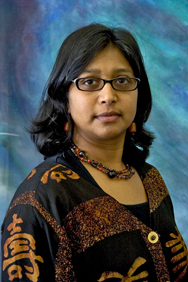 Nadasden is A longtime community activist and scholar. Nadasen has written for Feminist Studies, Ms. Magazine, the Women’s Review of Books, Race and Reason, and the Progressive Media Project, and has given numerous public talks about African-American women’s history and welfare policy. Nadasen has been a contributing Writer, for Progressive Media Project, which distributes opinion editorials to McClatchy-Tribune newspapers across the country. Her articles have appeared in several newspapers, including the Pittsburgh Tribune-Review, The Pueblo-Chieftan, The Sacramento Bee, The Fort Worth Star-Telegram, Watertown Daily Times, The Orlando Sentinal, La Prensa San Diego, Arizona Daily Star. My commitment to telling poor black women’s stories came to me through activism. I vividly remember my first protest. I was at the Federal Building in downtown Detroit opposing U.S. foreign policy in South Africa. It was 1985 and I was 17 years old. The demonstration had all the key elements: colorful banners, repetitive chanting, fiery speeches, and passersby who either honked in support or jeered in disgust. My feelings vacillated between anxiety and excitement. I was born in South Africa. Although I came to the U.S. at a young age, when I returned periodically to visit family I experienced first-hand the reality of apartheid laws. As a teenager, the brutality of the apartheid regime that I read and heard about in combination with the burgeoning grass roots movement to dismantle it ignited my commitment to social justice. By participating in that protest I came to see the world in a new way-one that recognized how ordinary people contribute to social change. When I went to the University of Michigan that fall, I joined the student anti-apartheid organization. As we-a diverse group of young women and men-immersed ourselves in political campaigns we talked and thought more deeply about patterns of racism not just in South Africa, but on the college campus and in our communities. One project we initiated was the Black Women’s Oral History Project where we interviewed long-time residents of Ann Arbor. It was from these rather remarkable women-whose names never appeared in my classroom textbooks-that I first learned about the welfare rights movement. I had taken several history and sociology courses about activism and the civil rights movement and was befuddled by the lack of discussion about these poor women on welfare who struggled for dignity and economic justice. In the 1960s, the women in Ann Arbor had collectively mobilized, along with thousands of women across the country, to protect their rights and fight for a better life for their children. I was deeply impressed by their fortitude and their wisdom. These early encounters fostered in me a commitment to pursue scholarly studies about the activism of poor women of color-a commitment that shapes my work even today as I research and write about domestic worker organizing. 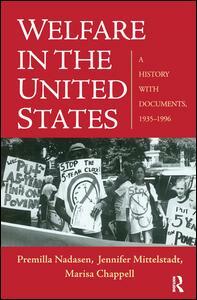 Writing about the welfare rights movement taught me many things about scholarship and history. It taught me that intellectualism and theories of social change originate not only with the philosophers and those who sit in the offices of Ivy League institutions. The poor black women who led the welfare rights movement lived and understood racism and class oppression in a complex way. From these experiences, they theorized about gender and how it is informed by racial stereotypes and the welfare system. And they formulated a distinctive politics of empowerment that spoke to their particular location as poor black women. They have a lot to teach us about how power operates, methods of social change, and the meaning of feminism. Studying this movement has also taught me that historical memory is deeply contested terrain. What we choose to remember-or not-is a reflection of our own values and beliefs. 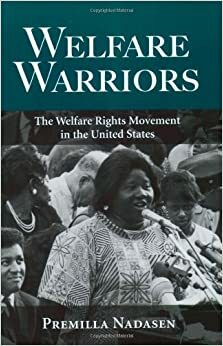 The marginalization of the welfare rights movement in historical scholarship is perhaps indicative of the way in which poor black women are marginalized in the political discourse today. So, for me, Welfare Warriors aimed to complicate the dominant narrative of the 1960s, but also to resurrect the muted voices of the period. Armed with their own brand of feminism in the 1960s and 70s, Premilla Nadasen’s Welfare Warriors fought militantly and relentlessly against racism, sexism and dehumanizing poverty. They fought their battles in the halls of Congress, the streets of urban communities, and inside the progressive movement itself. Even when they were not victorious, these black women activists were never victims, but rather powerful, complex and committed agents for change. This compelling and compassionate study, meticulously researched and passionately argued, is a must-read for anyone interested in social change politics, feminism or the black freedom movement. –- Barbara Ransby, Professor of African American Studies, University of Illinois at Chicago and author of Ella Baker and the Black Freedom Movement.